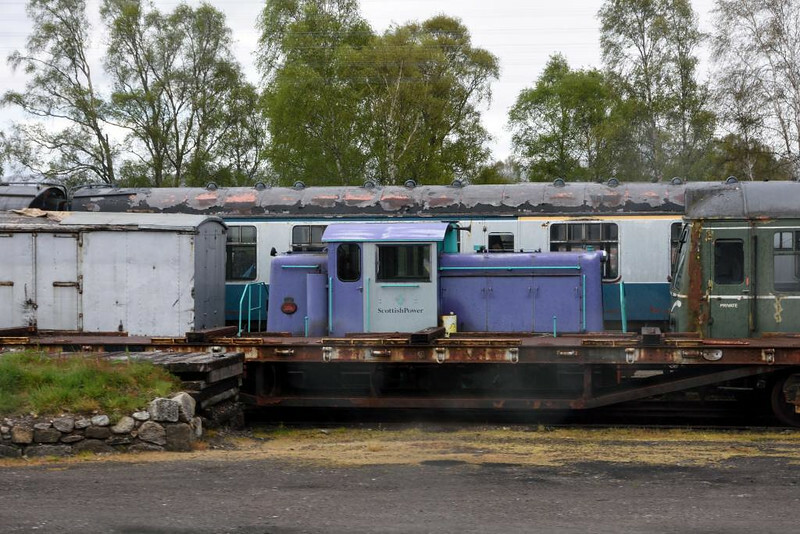 Scottish Power & undientified DMU, Boat of Garten, Thurs 28 May 2015. Scottish Power is Barclay 0-4-0DH 517 / 1966. With apologies for the rain marks.